Since relocating to Canada in October 2010, Wheater has been named Canada Excellence Research Chair in Water Security and Director, Global Institute for Water Security at the University of Saskatchewan. In addition, he has participated as a member of the Alberta's Provincial Environment Monitoring Panel and Chaired the Council of Canadian Academies Expert Panel on Sustainable Management of Water in the Agricultural Landscapes of Canada. This latter role saw release of a report in February 2013 entitled Water and Agriculture in Canada: Towards Sustainable Management of Water Resources. Wheater is also a member of the Water Partner Advisory Committee to the Council of the Federation Water Stewardship Council, and currently sits on an International Court of Arbitration concerning the Indus Waters Treaty. Before arriving in Canada, Wheater served as professor of hydrology and director of the Environment Forum at the United Kingdom’s Imperial College London. He holds a PhD in hydrology from Bristol University and a first-class degree in engineering science from the University of Cambridge. 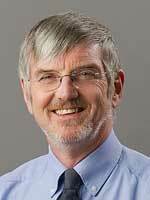 He is past president of the British Hydrological Society, is a fellow of the UK’s Royal Academy of Engineering, the Institution of Civil Engineers, and the American Geophysical Union, and he holds a life membership of the International Water Academy. He has published over 200 peer-reviewed papers and six books, and has won several academic awards, including the prestigious Prince Sultan Bin Abdulaziz International Prize for Water in 2006. Professor Wheater has extensive experience of training HQP. He has graduated more than 50 PhD students, and of the 14 PhD students graduating in the last six years, four now hold Faculty positions in universities world-wide, and seven more are in full-time research positions. Currently, the Canada Excellence Research Chair in Water Security supports six additional faculty, three undergraduate students, 31 graduate students, 15 post-doctoral fellows and 30 research and administrative staff. At Imperial he was, for 30 years, Director of the 12 month MSc programme in Hydrology, graduating many hundred HQP over that period.